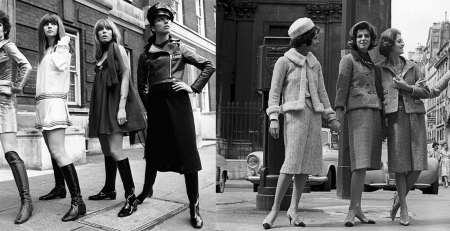 1960s – The decade that broke the fashion rules! The Vintage Patterns Shop love the history of fashion and as we look at the 1960s vintage sewing patterns, we will see an era that really pushed and influenced new fashions and new ideas. Popular culture, such as music, film and television where there for all to see like never before. The previous decade had seen the television become a standard everyday item in people’s homes, and as a result, 1960s sewing Patterns 1960 fabric patterns was influenced by the rich and famous. Political developments also had its influence, as hippy movements, rebelling against the Vietnam war, gained popularity as a look, and political figure Jacqueline Kennedy also became a huge fashion icon for the 60’s onwards. Jackie Kennedy’s biggest influence can be seen in the 1960s Hat Pattern of the pillbox hat. 1960s coat patterns and 1960s jacket patterns look great as a tailored suit along with our 1960s vintage trouser patterns and 1960s pants patterns and a reminiscent of the tailored suit look of the times. One of the most dramatic changes could be seen in the 1960s Swimsuit Pattern of the day. The bikini, first named and created in the 1940s (although evidence suggests this cut of clothing dates back to the Roman era), was not considered acceptable and therefore did not make it into the western world until television programs and the famous started wearing them in the 1960s. Restrictions placed on the society of the past were becoming obsolete. The ultimate and most iconic 1960s Skirt Pattern, was that of the mini skirt. These Vintage 1960s Skirt Patterns get their name from there creator Mary Quant, a fashion designer and icon of the 1960s. She named this skirt after her favourite car the mini cooper. 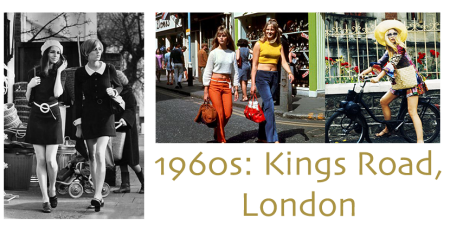 Once again, we see how the 1960s Patterns were more liberal than previous decades. Previously women had been restricted by clothing such as corsets, but these 1960s vintage skirt patterns put these items out of fashion and out of popularity. 1960s dress patterns are the largest collection of 1960s sewing patterns in The Vintage Pattern shop library, and include such 1960s dresses as the tailored suit dress. There were dress patterns 1960s style called the baby doll look that deliberately made fashion more fun embracing the youthful childlike look and style, and off course 1960s women’s dresses included the mini dress. These iconic Vintage Dress Patterns of the 1960s are just as popular today. 1960s patterns for tops and 1960s patterns for blouses are to be found in The Vintage Pattern shop along the 1960s apron patterns and 1960s vintage accessories patterns such as a swimwear coverup pattern. The Vintage Patterns shop are also proud to be extending their selection of 60s knitting patterns. The 1960s knitting patterns of the day include some of the 1960s dress patterns mentioned above. Knitting is making an amazing comeback and these patterns emulate the Jackie Kennedy tailored look and style. Have a look at the vintage knitting patterns available on the website.